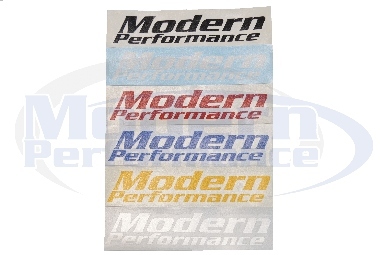 Modern Performance 6.5" X 1.5" Decals are available in Black, White, Red, Blue, Yellow, and Silver. Note: The price listed is for a single decal. Please be sure to select the desired color and quantity below. We can only make certain colors if we have a lot of demand for the color. As of right now we have no new colors.